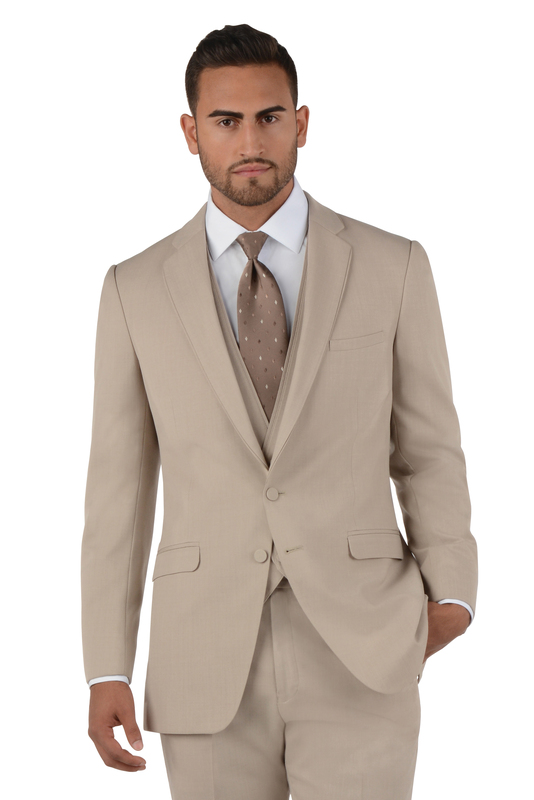 The Tan Allure by Allure Men has been known to make everyone’s jaw drop when you walk through the door. 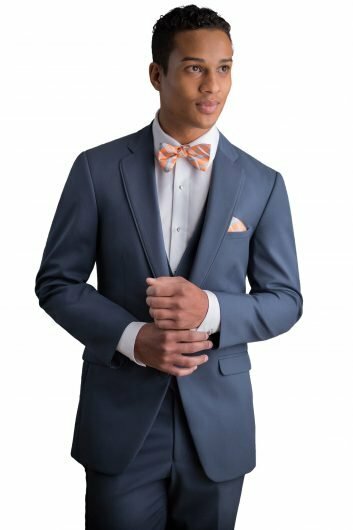 This tan tuxedo has a slim fit jacket with matching flat front pants that are made of an elegant lightweight comfort wool. 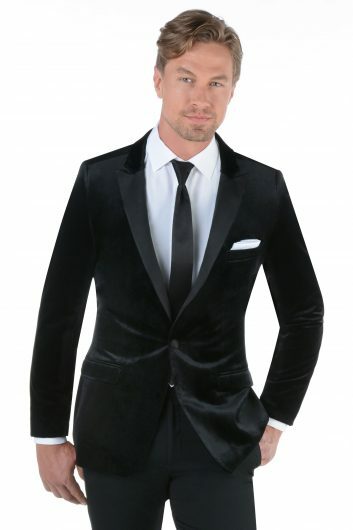 The two button front closure on the jacket is a classic design choice and self trimmed notch lapel is gorgeous touch. Featuring flap pockets and a side vented back, you will be comfortable for the entirety of the event. 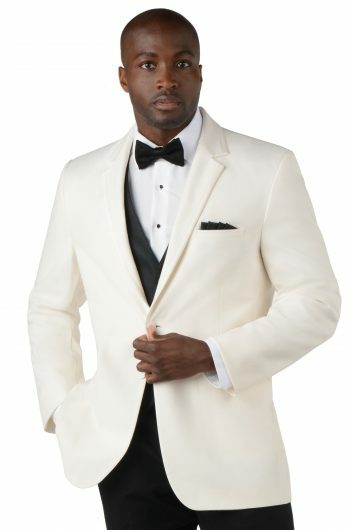 This tan tuxedo has a matching vest available upon request. The Tan Allure by Allure Men is available in both adult and child sizes.